It’s been more than a year since we saw the broken philanderers at the center of The Affair. 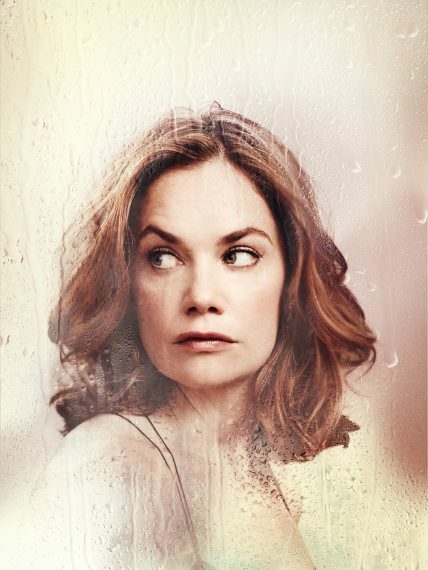 Showtime’s complicated drama ended with all four main characters — Alison (Ruth Wilson), Cole (Joshua Jackson), Helen (Maura Tierney) and Noah (Dominic West) — taking steps toward healing the wounds caused by Noah and Alison’s extramarital liaison. "Season 4 is about moving on, about reinvention," creator Sarah Treem says, "and whether it’s possible to let go of your past once and for all." New characters are introduced ahead of the show's June 17th premiere. Noah’s ex has moved their children to California, where her boyfriend, Dr. Vic (Omar Metwally), has a new job. "Helen is my proxy for a transplanted New Yorker in Los Angeles," says Treem. "She feels like this should be a period where she’s enjoying life, and she can’t." Why not? Noah’s still in it! Our problematic protagonist has relocated to L.A. too. "He’s going back to his roots," Treem says of the professor’s job at a charter school in Compton, where he strikes up a relationship with the principal (Sanaa Lathan). Notes Treem, "He gets himself overcommitted to her and her family because he’s being boxed out of his own." Alison, now a crisis counselor, remains in Montauk, New York. Early on, she meets a man (Ramon Rodriguez) and finds they have a past trauma in common. "They fall in love pretty quickly," which, Treem adds, isn’t necessarily a good thing on The Affair. Like Helen, Cole still struggles with his feelings toward his ex. "Cole, more than almost any other character, is having a hard time letting go," says Treem. And that starts to cause stress with current wife Luisa (Catalina Sandino Moreno). Uh-oh.